Even as advances in attachment science have led to an increasing appreciation of the centrality of emotions in human relationships, we still find ourselves often intimidated by the raw power of our clients’ emotions. 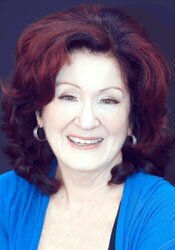 Primary developer of Emotionally Focused Couples Therapy (EFT) and best-selling author of, Hold Me Tight, Dr. Sue Johnson, shows you how the EFT method illustrates the new science of love and bonding and helps you become more attuned with your client’s emotions that often flare up in session. 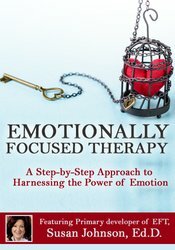 Emotionally focused therapy (EFT) harnesses the new science of love and relationships. Watch now and be guided step-by-step through the process of helping clients tap into their deepest emotional reserves as a positive force for shaping growth and transformation. Articulate techniques of EFT to put to practical use in-session to focus on the clients’ emotions versus the content in relation to clinical assessment. Identify the stages, steps and interventions of EFT and how they relate to case conceptualization. Describe how to set up new bonding interactions among clients that redefine connection and change working models of attachment. Instruct the process for facilitating new bonding interactions that promote corrective emotional experiences in clients.